Benjamin Gibbard On World Cafe : World Cafe The Death Cab for Cutie singer performs songs from his first solo album, the new Former Lives. After 15 years as the singer of Death Cab for Cutie, Benjamin Gibbard has finally released his first solo album, titled Former Lives. The record moves beyond the indie-pop confines of Gibbard's band, touching on Latin music, alt-country and '70s power pop. It largely consists of songs written in the last eight years that never fit the themes of past Death Cab records. As a result, Former Lives finds him branching out a bit, whether in the countrified "Teardrop Windows" or the bubblegum-flavored "Duncan, Where Have You Gone?" 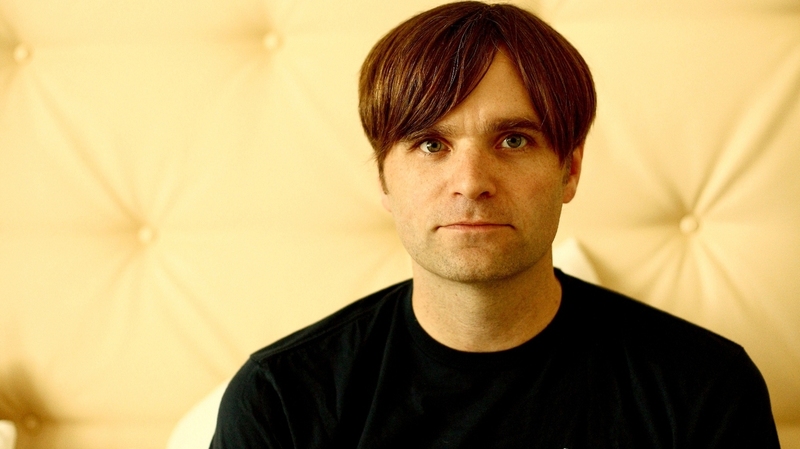 This isn't Gibbard's first project outside of Death Cab: He's also known for his side project All-Time Quarterback, his electronic duo The Postal Service with producer Jimmy Tamborello, and his 2009 album with Jay Farrar, One Fast Move or I'm Gone, based on Jack Kerouac's 1962 novel Big Sur. On Former Lives, he finds a new partner in Aimee Mann, with whom he duets in "Bigger Than Love." But while Gibbard's collaborators have been numerous over the years — he gets a vocal assist from ex-wife Zooey Deschanel in "Something's Rattling (Cowpoke)" — his wittily yearning voice still comes through in his work as a solo artist. In this edition of World Cafe, Gibbard plays several tracks from Former Lives and discusses his debut with host David Dye.